SuburbanLifeMagazine.com is committed to safeguarding your privacy online. Please read the following policy to understand how your personal information will be treated as you make full use of our many offerings. This policy may change from time to time so please check back periodically. What personally identifiable information does SuburbanLifeMagazine.com collect from me? What are cookies and how does SuburbanLifeMagazine.com use them? How does SuburbanLifeMagazine.com use my information? SuburbanLifeMagazine.com's primary goal in collecting personal information is to provide you, the user, with a customized experience on our network of sites. This includes personalization services, interactive communications, online shopping and many other types of services, most of which are completely free to you. In order to provide services free of charge, we display advertisements. By knowing a little about you, SuburbanLifeMagazine.com is able to deliver more relevant advertisements and content, and hence better service, to you. ?In our role of delivering targeted advertisements, SuburbanLifeMagazine.com plays the middleman. Advertisers give us an advertisement and tell us the type of audience they want to reach (for example, males over 35 years old). SuburbanLifeMagazine.com takes the advertisement and displays it to users meeting that criteria. In this process, the advertiser never has access to individual account information. 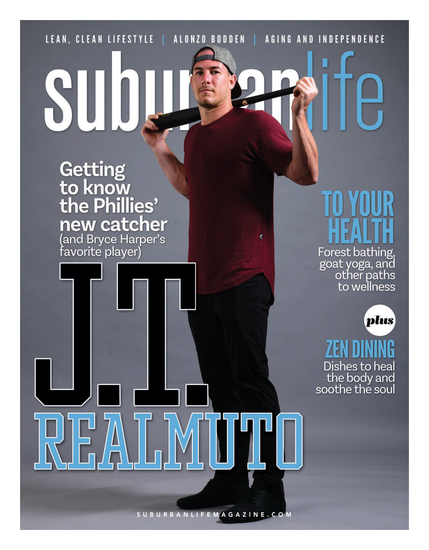 Only SuburbanLifeMagazine.com has access to individuals' accounts. This kind of advertisement targeting is done with banner ads as well as promotional email through SuburbanLifeMagazine.com Delivers. You will only receive special offers via email from SuburbanLifeMagazine.com if you have indicated in your account preferences that you would like to receive them. You can change your account preferences at any time. SuburbanLifeMagazine.com does research on our users' demographics, interests, and behavior based on the information provided to us upon registration, during a promotion, from our server log files or from surveys. We do this to better understand and serve our users. This research is compiled and analyzed on an aggregated basis. SuburbanLifeMagazine.com may share this aggregated data with advertisers or business partners. When you are on a SuburbanLifeMagazine.com site and are asked for personal information, you are sharing that information with SuburbanLifeMagazine.com alone, unless it is specifically stated otherwise. For example, some SuburbanLifeMagazine.com services, like SuburbanLifeMagazine.com Travel, are offered in conjunction with a partner company. In order to provide this co-branded service to you, it is necessary for us to share your personal information with our partner company. If data is being collected and/or maintained by any company other than SuburbanLifeMagazine.com, you will be notified prior to the time of the data collection or transfer. If you do not want your data to be shared, you can choose not to allow the transfer by not using that particular service. Promotions that run on SuburbanLifeMagazine.com may be sponsored by companies other than SuburbanLifeMagazine.com or may be cosponsored by SuburbanLifeMagazine.com and another company. Some or all data collected during a promotion may be shared with the sponsor. If data will be shared, you will be notified prior to the time of data collection or transfer. You can decide not to participate in the promotion if you don't want your data to be shared. Currently, most SuburbanLifeMagazine.com promotions are limited to US or North American residents. Please be aware that SuburbanLifeMagazine.com Internet access partners, advertisers, and web sites that have links on our site may collect personally identifiable information about you. The information practices of those Internet access partners, advertisers, and web sites linked to SuburbanLifeMagazine.com are not covered by this privacy statement. With whom does SuburbanLifeMagazine.com share my information? As a general rule, SuburbanLifeMagazine.com will not disclose any of your personally identifiable information except when we have your permission or under special circumstances, such as when we believe in good faith that the law requires it or under the circumstances described below. Please see the Terms of Service or Use Agreements for each of our products and services for more detailed information about how your personal information may be shared. The following describes some of the ways that your information may be disclosed. Business Partners & Sponsors: SuburbanLifeMagazine.com may disclose your personal information to business partners or sponsors, but this is specifically described to you prior to data collection or prior to transferring the data. Details of shared use can be found in specific Terms of Service or Use Agreements, and sweepstakes and promotions rules. Some or all data collected during a SuburbanLifeMagazine.com promotion may be shared with a sponsor. If personally identifying data about you will be shared, we will tell you before we collect or transfer the data. Many promotions offer opportunities to request additional information from sponsors. By requesting more information, you give SuburbanLifeMagazine.com permission to transfer your personal information to the sponsor so they can fulfill your request. In many instances, only your email address will be shared. If more information will be shared with the sponsor, you will be notified prior to the transfer. SuburbanLifeMagazine.com Stores & Shopping: If you make a purchase from a store hosted by SuburbanLifeMagazine.com Store, or a merchant in SuburbanLifeMagazine.com Shopping, the information obtained during your visit to those stores, and the information you give such as your credit card number and contact information, is provided to the merchants. This is to enable transactions to take place. ?Merchants listed in SuburbanLifeMagazine.com Shopping or site or in SuburbanLifeMagazine.com Stores have separate privacy and data collection practices. SuburbanLifeMagazine.com has no responsibility or liability for these independent policies. For more information regarding the merchant, their store, and their privacy policies, return to that store's home page and click on their Information link. SuburbanLifeMagazine.com Auctions: On the SuburbanLifeMagazine.com Auctions site, we currently provide the information necessary to facilitate the auction transaction between the buyer and the seller. From time to time, you may be offered the opportunity to receive materials or special offers from third parties. If you opt-in to receive information from these third parties, SuburbanLifeMagazine.com will (with your permission) share your name and email address with them. Third Party Data & Data in the Aggregate: Under confidentiality agreements, SuburbanLifeMagazine.com may match user information with third party data. Also, SuburbanLifeMagazine.com discloses aggregated user statistics (for example, 45% of our users are female) in order to describe our services to current and prospective partners, advertisers, and other third parties, and for other lawful purposes. ?Other: SuburbanLifeMagazine.com may also disclose account information in special cases when we have reason to believe that disclosing this information is necessary to identify, contact or bring legal action against someone who may be violating SuburbanLifeMagazine.com's Terms of Service or may be causing injury to or interference with (either intentionally or unintentionally) SuburbanLifeMagazine.com's rights or property, other SuburbanLifeMagazine.com users, or anyone else that could be harmed by such activities. SuburbanLifeMagazine.com may disclose or access account information when we believe in good faith that the law requires it and for administrative and other purposes that we deem necessary to maintain, service, and improve our products and services. SuburbanLifeMagazine.com may, from time to time, send you email regarding our products and services. In addition, if you indicated upon registration that you are interested in receiving offers or information from SuburbanLifeMagazine.com and our partners, we may occasionally send you direct mail about products and services that we feel may be of interest to you. Only SuburbanLifeMagazine.com (or agents working on behalf of SuburbanLifeMagazine.com and under confidentiality agreements) will send you these direct mailings and only if you indicated that you do not object to these offers. If you do not want to receive such mailings, simply tell us when you give us your personal information. Or, at any time you can easily edit your SuburbanLifeMagazine.com Account Information to no longer receive such offers and mailings. You will need your SuburbanLifeMagazine.com ID and Password in order to access your SuburbanLifeMagazine.com Account Information. ?On some types of SuburbanLifeMagazine.com promotions, we will ask for your email address in order to update you on your score, entries, and status in prize drawings. When you participate in these types of promotions, you automatically receive promotion-related email, unless you choose the no-email option that some promotions offer. Occasionally these promotion-related email messages may include targeted advertisements. ?You also have choices with respect to cookies. By modifying your browser preferences, you have the choice to accept all cookies, to be notified when a cookie is set, or to reject all cookies. If you choose to reject all cookies you will be unable to use those SuburbanLifeMagazine.com services that require registration in order to participate. These services include (but are not limited to): SuburbanLifeMagazine.com Mail, My SuburbanLifeMagazine.com, Calendar, Chat, Message Boards, and creating a portfolio in SuburbanLifeMagazine.com Finance. You can still use SuburbanLifeMagazine.com Shopping and SuburbanLifeMagazine.com Auctions and many other SuburbanLifeMagazine.com sites even if you do not accept cookies. ?SuburbanLifeMagazine.com does not sell or rent user information to anyone. We will notify you at the time of data collection or transfer if your data will be shared with a third party and you will always have the option of not permitting the transfer. If you do not wish to allow your data to be shared, you can choose not to use a particular service or not to participate in certain promotions or contests. What is SuburbanLifeMagazine.com's policy on allowing me to update, correct, or delete my personally identifiable information? You may edit your SuburbanLifeMagazine.com Account Information and your public SuburbanLifeMagazine.com Profile at any time by using your SuburbanLifeMagazine.com ID and password. If you have forgotten your password, please click here to request a new password. For all other problems signing in to SuburbanLifeMagazine.com, please click here and complete this form. ?Your SuburbanLifeMagazine.com account can be deleted or deactivated, but doing so will result in not being able to access any members-only area of the SuburbanLifeMagazine.com network, including your SuburbanLifeMagazine.com Mail account (if you have one). If you saved the confirmation email you received when you first created your SuburbanLifeMagazine.com account, you can use the URL provided in that message to delete your account at any time. How does SuburbanLifeMagazine.com protect my personal financial and health-related information? Keeping your personal financial and health-related information private is vitally important to us. As with all information, SuburbanLifeMagazine.com will never rent or sell your personal financial or health-related information. This includes information kept in your SuburbanLifeMagazine.com Portfolio or from any SuburbanLifeMagazine.com Health assessment tools. If you use SuburbanLifeMagazine.com Online Banking Access, SuburbanLifeMagazine.com will work with your financial institution to present your account balances and history to you on your customized SuburbanLifeMagazine.com pages. In order to present your financial information to you, SuburbanLifeMagazine.com receives that information from your financial institution in an encrypted format and presents it to you over a secure-server. SuburbanLifeMagazine.com Online Banking Access is regu larly updated. SuburbanLifeMagazine.com encrypts this data and stores it on our secure servers. Knowing that you use certain services or features may help us to offer you better and more relevant content and advertisements. But as with all personally identifiable information, we do not make this available to any third parties without your permission. Any user statistics that we may provide to prospective advertisers or partners regarding financial product or service usage on SuburbanLifeMagazine.com are provided in the aggregate only and do not include any personally identifiable information about any individual user. Please note that there are several places on the SuburbanLifeMagazine.com network of Web sites where you can transmit credit card information in order to complete a purchase transaction or for verification purposes. Any time we ask for a credit card number we transmit that credit card number in an encrypted format. We use industry-standard, SSL (secure socket layer) encryption. Your SuburbanLifeMagazine.com Account Information and SuburbanLifeMagazine.com Profile are password-protected so that you and only you have access to this personal information. You may edit your SuburbanLifeMagazine.com Account Information and SuburbanLifeMagazine.com Profile by using your SuburbanLifeMagazine.com ID and password. ?We recommend that you do not divulge your password to anyone. SuburbanLifeMagazine.com will never ask you for your password in an unsolicited phone call or in an unsolicited email. Also remember to sign out of your SuburbanLifeMagazine.com account and close your browser window when you have finished your work. This is to ensure that others cannot access your personal information and correspondence if you share a computer with someone else or are using a computer in a public place like a library or Internet cafe. ?Unfortunately, no data transmission over the Internet or any wireless network can be guaranteed to be 100% secure. As a result, while we strive to protect your personal information, SuburbanLifeMagazine.com cannot ensure or warrant the security of any information you transmit to us or from our online products or services, and you do so at your own risk. Once we receive your transmission, we make our best effort to ensure its security on our systems.